Goldfinch (350/365) – Annoyingly Boring? 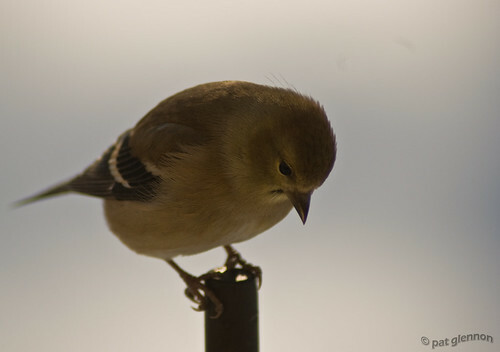 More bird photos today – It was too cold to go out shooting, so shooting through the kitchen window worked well. You have a very clean window, and very cute birds. Okay, it’s a beautiful photo and all, but all I can think of is how jealous I am of your super-clean windows! I could NEVER get clear shot like that!!!! Awesome bird shot. Looks like a goldfinch.